Originating from the same area as myself, August Burns Red has always been a shining example of good old fashioned metalcore with an audible melody. Constellations is the band's third album and you can tell they have matured. The album has a very technical and processed sound and I can only imagine the hours of editing, blood, sweat and tears it took to get this quality sound. Every note is pinpointed to perfection giving the impression that the band really knows what they�re doing. This sound only helps extenuate the melodic riffs in the album. Songs such as Meddler and Crusades have especially great riffs. Another welcome surprise is the progressive sound in songs such as Marianas Trench and Meridian. Most of Constellations is plain brutal metalcore. Thirty and Seven is an example of this as well as Existence which also contains a great guitar solo. It's not all pulse pounding brutality though, as Marianas Trench has a beautiful intro that would not be expected from a metalcore band. The last standout track is Meridian which I recommend everyone should listen to at least once. 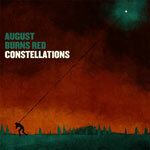 Progressive metalcore is not something that comes around everyday, and August Burns Red pulls it off beautifully. Sounds and instruments constantly build off of each other as the song swings up and down to create an amazing epicenter before the song is over. Even those who don�t enjoy metalcore should give this song a listen. As great a certain songs are on Constellations, most every song not mentioned is treads the same turf as before. It�s absolutely worth a listen but with an album of filler, I can�t give this album the highest of honors. As great a certain songs are on Constellations, most of the album treads the same turf as before. It�s absolutely worth a listen but with an album of filler, I can�t give this album the highest of honors.